Data collected by the Operational Land Imager (OLI) and the Thermal Infrared Sensor (TIRS) onboard the Landsat 8 satellite are available to download at no charge from GloVis, EarthExplorer, or via the LandsatLook Viewer. For more info, click image below. It’s not too late to register to attend the US DOT PHMSA Public Awareness Workshop on June 19 – 20, 2013 – either in person at the Hyatt Regency N. Dallas Hotel or via webcast. Since 2005 pipeline operators have been required to have a Public Awareness Program per federal pipeline safety regulations. They must provide information to four stakeholder audiences categorized as: (1) affected public, (2) emergency officials, (3) local public officials, and (4) excavators. The workshop will bring together stakeholders to discuss findings from recent federal and state public awareness inspections, and gain perspectives from various stakeholders on public awareness challenges and successes to identify ways to strengthen pipeline safety public awareness. For more details, please visit http://primis.phmsa.dot.gov/meetings/MtgHome.mtg?mtg=90 . Spatial data come in many forms—from geo-referenced coordinates and areal units on a map to diagrams and the coding of sound with musical notation. The sources of such data include, among many others, human creativity, the Census, trajectories of movements from GPS, and the social networks represented by online contacts. Problem solving in the science, business, and design disciplines, and aesthetic renderings in the arts increasingly make use of spatial visualization technologies to represent and interpret the patterns and processes that define natural and human worlds at scales ranging from the molecular to the astronomical. spatial@ucsb.local2013 brings together leading contributors to the art and science of visualization for demonstrations of applications and discussion. The Visualization of Spatial Data Plenary Session will feature presentations by Jason Dykes (School of Informatics, City University London), JoAnn Kuchera-Morin (Media Arts and Technology Program, UCSB), and Ross Whitaker (Scientific Computing and Imaging Institute (SCI), University of Utah). On Thursday, June 6, 2013, spatial@ucsb.local2013 will host a Poster Session and Plenary Session on this theme. The event will be held at Corwin Pavilion. Posters can be viewed from 11:30 a.m. to 1:00 p.m.; the Plenary Session will be from 1:00 to 3:30 p.m. If you plan to attend, please RSVP to Karen Doehner, kdoehner@spatial.ucsb.edu. There is a GeoSpatial LA meeting tomorrow, including a Red Cross EOC tour. For more info see http://egis3.lacounty.gov/eGIS/2013/05/23/geospatial-la-gathering-may-30th/ . Each breakout session will contain 1 sponsor speaker with 15 minute speaking slot and 3 user speakers with 30 minute speaking slot each. As you may be aware, the California Ocean Protection Council, in partnership with USGS and NOAA Coastal Services Center, funded a LiDAR data collection effort along the California coast and San Francisco Bay, between 2009-2011. The data were made available last year through the NOAA Coastal Service Center’s Digital Coast Data Access Viewer. The entire LiDAR dataset is now available for download via an ftp/http directory from the NOAA Coastal Service Center’s Digital Coast Data Registry. The data are packaged as .laz files. Please read the 0README file in the directory for instructions on how to download. For technical questions, please contact NOAA CSC staff, Keil Schmid at keil.schmid@noaa.gov. The Ocean Protection Council is looking for illustrated examples of how the LiDAR data are being used. This can be an image, map, figure, etc you developed based on the LiDAR or DEMs. We would like to use these illustrated examples in future presentations about how the LiDAR and derived products are applied. If you are able, please email me a screen capture or small jpeg for use in presentations, with your permission. Google has rebuilt Maps from the “ground up”, with a new interface, search abilities, and faster performance. Check it out at http://maps.google.com/preview . Google Maps will be based on vector imagery delivered via WebGL. 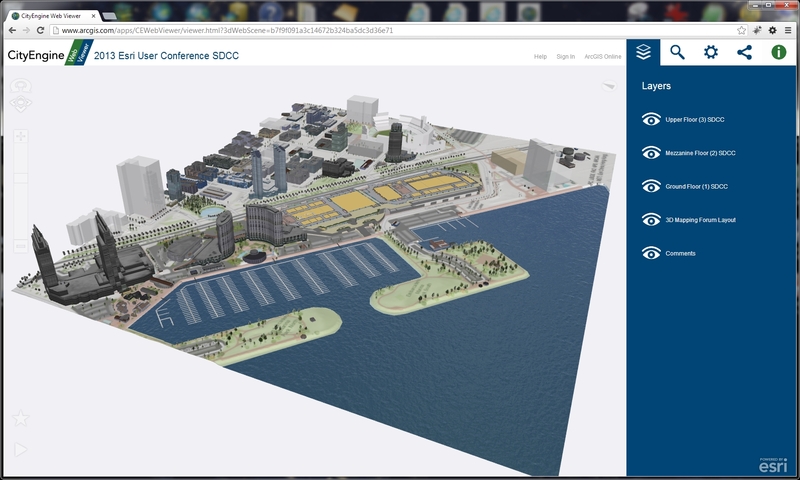 Maps will also include 3D photographic imagery for some locations and user-uploaded photos. Google has also updated its mobile apps for iOS and Android, which includes traffic alerts with live accident information and rerouting capabilities. An iPad version will also be released this summer.